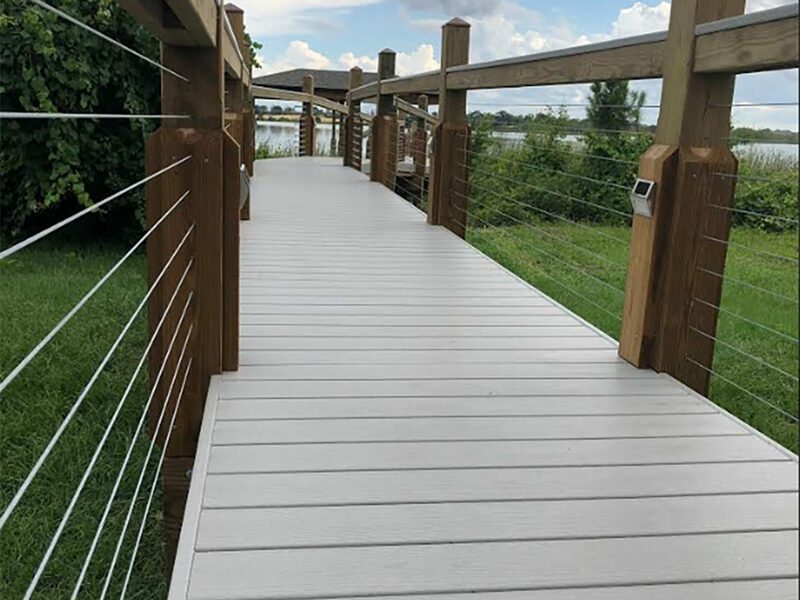 The Nair project in Winter Garden Florida was a simple dock and boathouse featuring Wear HDPE fiberglass reinforced decking and hot dip galvanized cable railing. 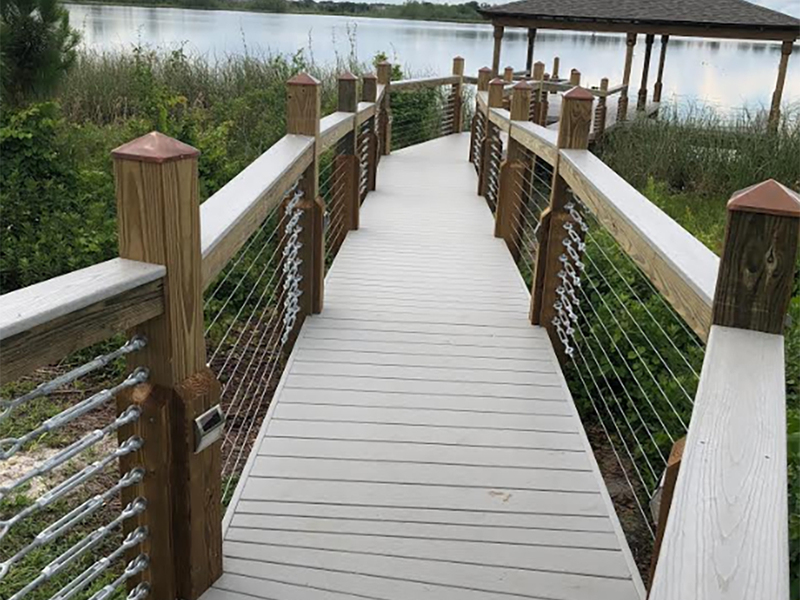 The dock extended from an upland masonry paver deck, across a wetland conservation area and across the water to the open deck and boathouse. 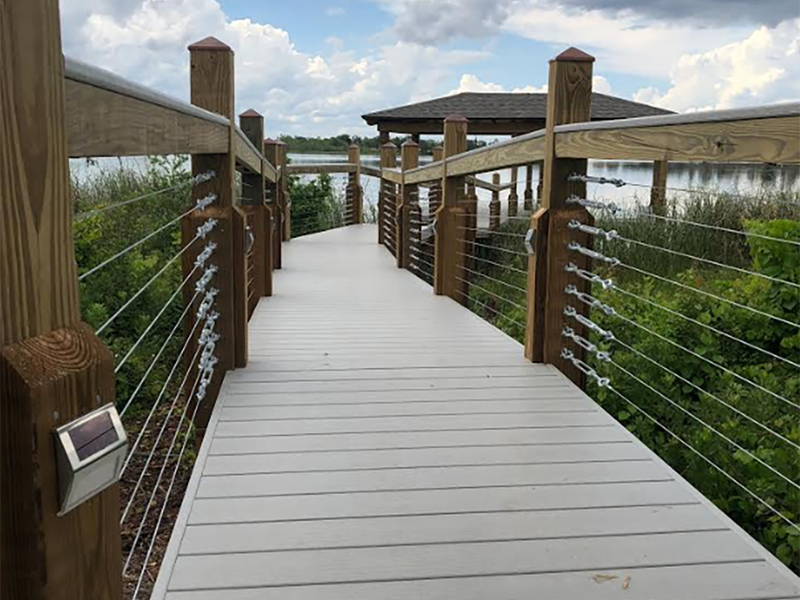 Fender Marine Construction built the dock and boathouse to our high quality marine construction standards. The project was final inspected and the customer is happy.